Villa Eco Yasemin is 2 bedroom brand new with special wood stylish interiors and panoramic outdoor area, its perfect villa for a honeymoon couple, romantic couple or small family looing for that special rental villa in kalkan with seaview. The self catering villa in kalkan is an ideal for large families and groups of friends wishing to holiday together villa in turkey. Villa Kalkan Alkin is 5 bedroom luxury family villa rental in turkey with seaview and walking distance to kalkan town. Villa Rudi is an exceptional, luxurious fully air-conditioned, 2 bedroomed, 3 bath Villa in Kalkan, situated in a unique and serene setting amidst the olive groves and pine trees in the beautiful mountain village of Islamlar, Turkey. Salkim Evi has been constructed from wood and stone with huge expanses of glass allowing views from the bedroom and bathroom, and most especially from the huge Jacuzzi bath, over the treetops and the valley towards the long strip of beach at Patara. Villa Kalkan Dream is a brand new villa in Kalkan town centre located just 5 minutes walking distance to the sea, beaches, restaurants and shops. We can safely say this is one of the best villas in the town centre. 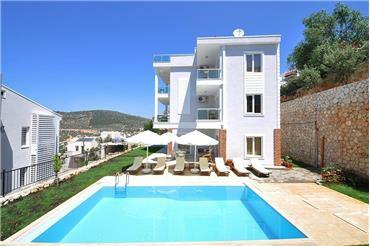 2 Bedroom luxury kalkan villa with pool. 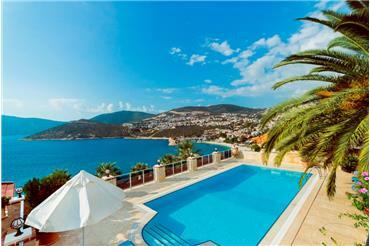 Villa Kalkan Hecky has a private pool with perfect Kalamar Bay seaview. Kalkan villa has a open plan kitchen, modern lounge, big pool terrace with perfect seaview and incredable sunset. 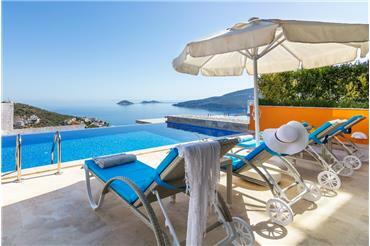 Villa Kalkan Lycia Seaview is 4 bedroom luxury private villa with pool. This villa one of the best locaiton kalkan town villa. Its 10 minutes walking from town, harbour, restaurants, shops. 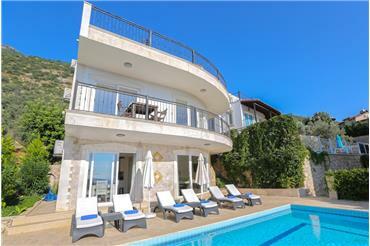 Villa Lycia Seaview has a stunning seaview with pool. 2 bedroom private villa, Villa Kalkan Seafront,Turkey in the quiet Kisla area of Kalkan, Turkey which has its very own secluded private beach cove with sunbeds and umbrellas rent a villa in Turkey with seafront. Villa Kalkan inge, with stylish interiors and panoramic outdoor area, its perfect villa for a honeymoon couple, romantic couple or small family looing for that special rental villas in kalkan. Villa has a private swimming pool with full seaview. Extremely well equipped, the villa has been designed and furnished to a very high standard and the accommodation offers bright, comfortable and contemporary living. 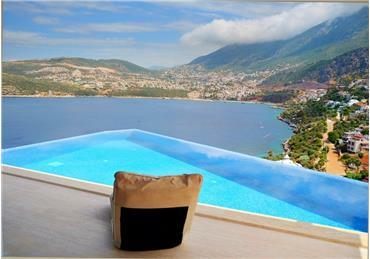 Villa in kalkan with seaview. Turkish villa rental with seaview and private. Luxury. Villa Kalkan Jamandutania is a beautiful detached villa set in a stunning location with uninterrupted sea views all around. 5 minutes from bustling Kalkan. Mature gardens overlooking the harbour. Total privacy for lazy sunbathing days. Villa Kisla Stone is only a few minutes walking from the sea and beach clubs. Villa has a full seaview. There are 4 bedrooms which is all en suites and with full seaview and with balcony. Villa has a huge pool terrace, outside seating area and pool. 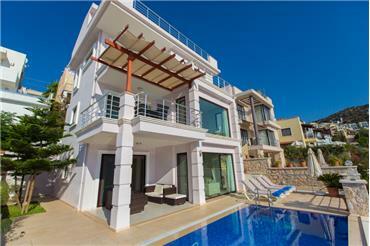 Villa Kalkan View has been built very modern and luxury inside and outside. 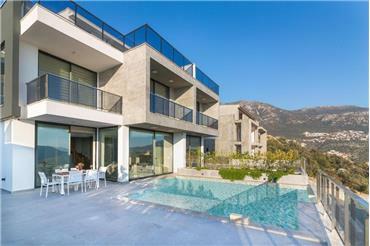 Villa outside space is fabulous.There are large swimming pool with stunning views overlooking Kalkan sea and plenty of space around it relaxing on the sun-loungers provided. Villa Hidden Garden is a brand new, luxury designed villa just 10-12 minutes from the sea in the Kalkan area. Villa has 2 bedrooms with an En-suite. Villa has been built modern and luxury. The villa is suitable for islamic halal holidays, seclusion. Villa is 3 bedrooms with an En-suite. All room has stunning sea views. Villa is only 10-15 mimutes walk a way from the sea, town, restaurants and shops. Villa is modern desiged. Villa is suitable for family and firends of group and honeymoon couple. 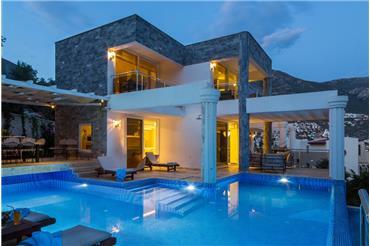 Villa Sea Front is luxurious new development 5 bedroom villa a stunning views. 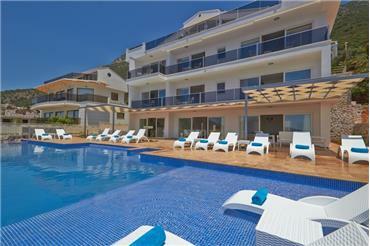 Villa is just a few minutes walking distance to beach clubs and 5 minutes drive to Kalkan town center. Villa Sea Front is juts a few minutes walking to sea & beach clubs. Villa Moonshine is fantastic 5 bedroom luxury villa with amazing panoramic views over Kalkan Bay, situated in an elevated peaceful prime location overlooking Kalkan Town and Harbour. Villa hire in Turkey. Villa hire in Kalkan. 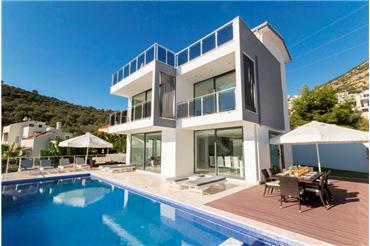 Villa Hilal is brand new modern luxury 5 bedrooms which is all en-suites villa in Turkey-Kalkan. Villa has been built very modern. Villa has a spectacular views and amazing private infinity pool. Villa is only 5 minutes drive to town, beach, shops. Villa Kalkan Retreat is brand new luxury villa in Kalkan/Kalamar area. 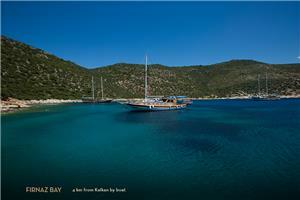 Villa is located Kalamar bay area which is one of the special area in the Kalkan. 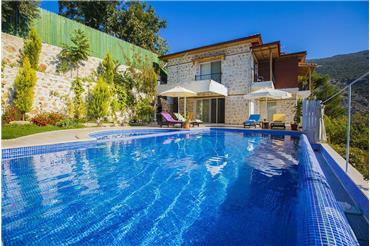 Villa has been built very modern and luxury even there are Turkish bath and sauna in the villa. 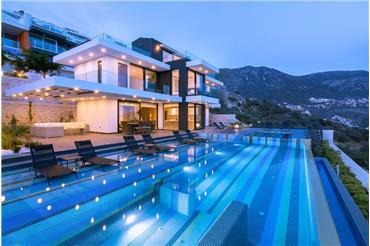 Villa Dreamview is one of the best amazing, luxury, modern and exceptional place to stay in Turkey/Kalkan. Villa has stunning seaviews. Villa is luxury 6 beds villa.There is a local shops, green grocery, barber and 2 bakery shop near the villa. 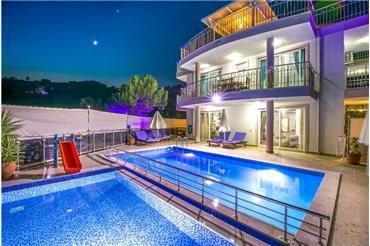 Villa Dream House is one of the best luxury villa in Turkey / Kalkan. Villa is has been built 6 bedroom with an en-suite and amazing private infinity pool. Villa has spectacular seaview. Villa is good for group of family, group of firends. 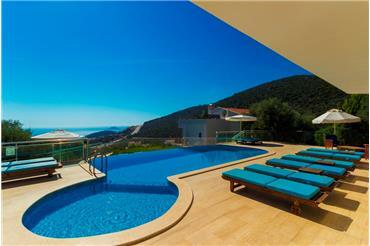 Villa Ocean View is stunning, one of the best luxury villas in Kalkan. 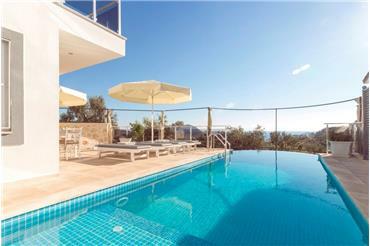 The Villa is a 4 bedroom luxury villa (sleeps 8/9 people) with fantastic panoramic views over Kalkan Bay. 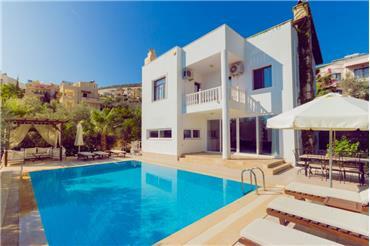 The Villa is located in the Komurluk area of Kalkan. 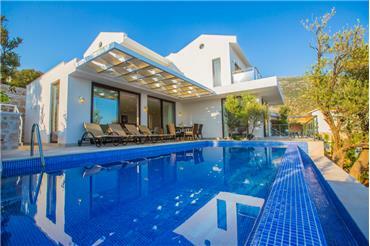 Villa Ruya is a brand new, luxury designed villa just 150m from the sea in the Kalamar bay area of Kalkan. 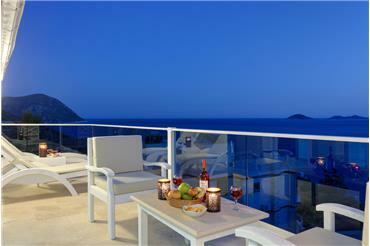 Its one of the best holiday rental villas in Kalkan. All bedrooms have modern travertine bathrooms with rainforest shower units. Villa Koca, 5 bedrooms all with en-suite and unbelieveable, panoramic views and a beautiful infinity pool, The pool is surrounded by a spacious patio area, equipped with sun-loungers and sun-shades. The villa is a very good choice for families. 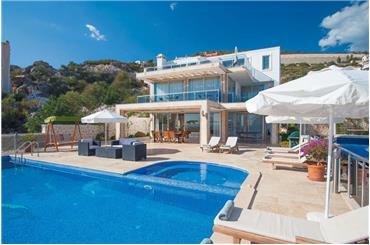 Villa Seaview is fantastic 5 bedroom luxury villa with amazing panoramic views over Kalkan. All bedrooms are en-suite and have large private balconies/terraces in the villa Kalkan Bay, situated in an elevated peaceful location above kalkan old town. Villa Kalkan Sun is situated on a hillside behind Kalkan so benefits from lovely views of Kalkan and the Bay and cooling breezes during the hottest summer months. Perfect for families and larger group villas. Villa Kalkan Emir has been furnished in a contemporary style and the centre of Kalkan town is a 15/20 minute walk away - there are a selection of excellent cafes and restaurants a 10-12 minute walk away, together with a convenience store. 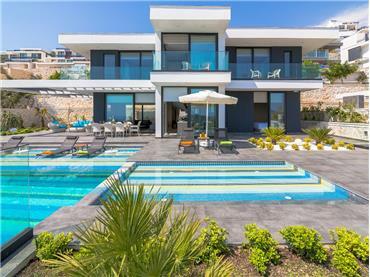 Villa Kalkan Instyle has been furnished in a contemporary style and the centre of Kalkan town is a 15/20 minute walk away - there are a selection of excellent cafes and restaurants a 10-12 minute walk away, together with a convenience store. 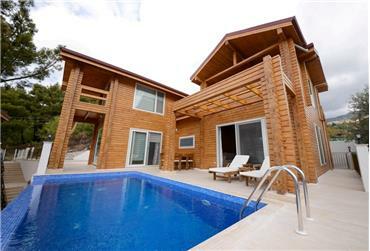 Villa Honeymoon Dream is 2 bedroom modern, luxury rental villa in Turkey with seaview, private pool. Villa Mini Manzara is suitable for honeymoon couple, small family for good for budget. 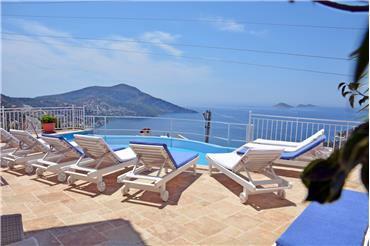 Kalkan rental villa with 2 bedroom, seaview, private pool. Villa Honeymoon Retreat is suitable for who wants very private villa, not overlooked, peacefull area with private pool and seaview and you can drive to Kalkan only 5 minutes and enjoy old town Kalkan and beaches. Villa Kalamar Luxury is 4 beds with game room table tennis, pinball, air hockey, playstation 4, pro dart so it makes your holiday enjoyable. Decorated in cool neutral tones in a simple and contemporary style, the villa oozes style and tranquillity. Villa private islamlar with private pool is hidden away in a tranquil rural setting. Villa is very good for big family, couple and honeymoon couple. Our villa is sleep 10 but its big villa we we can make extra 2 beds, fold up bed, extra bed options. 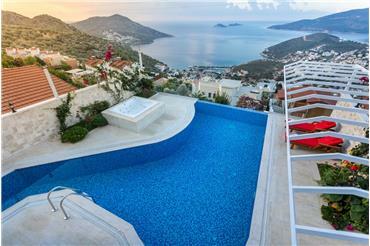 Villa Luxury View is 5 bedroom luxury villa in Turkey, Kalkan. Villa Luxury View has a 5 en suites bedroom, seaview, game room, sauna, turkish bath, gym area and cinema room as well. The villa is only 5 minutes drive from Kalkan Town Centre by drive. 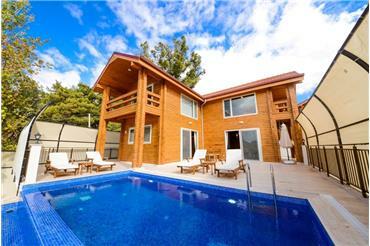 Villa Eco Honeymoon Turkey is brand new with speacial wood stylish interiors and panoramic outdoor area, its perfect villa for a honeymoon couple, romantic couple or small family looing for that special rental villa in Turkey. The villa is situated just 5 minutes drive from the centre of the enchanting Kalkan village and harbour, which is packed with delicious restaurants and is known as a premier holiday resort in the ‘Turkish Riviera’. Villa Skyview Kalkan is 3 bedroom private Villa Turkey. Its good for who wants peaceful, private pool, faw a way from people, full seaview, modern villa with full furnish. Its only 5 min away from nearest shops, restaurants. Villa in Turkey luxury. Villa Harika Lüks is 5 bedroom private villa in Kalkan with seaview and private pool. 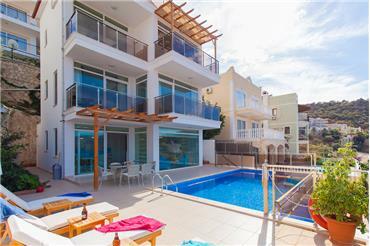 You can walk to shops and town 5 to 15 minutes and you can enjoy holiday in Turkey with private pool villa with seaview. Villa Kalkan Luxury Infinity has a gym area, close pool with heated pool and infinity swimming pool with large pool terrace with seaview. 4 bedroom luxury villa of an exceptionally high class standard both inside and out and is an around 15 minutes. Villa Getaway Sun is 2 bedroom luxury stone and special wood design villa rental in Kalkan with private secluded pool, garden, large terrace, jacuzzi in the bedroom and seaview. Villa Palmiye Beach is 200 metres to nearest Beach Club Villa in Kalkan, it offers sunbathing facilities and direct access to the sea, water sports, restaurant and bar. Villa Likya Seaview is located just 9 minutes walk from Kalkan Town and the beach, on the outskirts of the town often referred to as one of Turkeys best kept secrets. Villa Kalkan Elite is a 6 Bedroom ultra luxury private villa kalkan with infinisty pool and seaview. Villa has a jacuzzi with bedroom, balcony with seaview, large pool terrace with luxury furnish and large lounge area with high class kitchen. 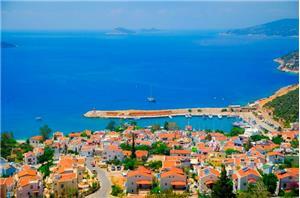 Villa Close Town is only 10 minutes you can walk to Kalkan Town, shops, Kalkan harbour and restaurants. 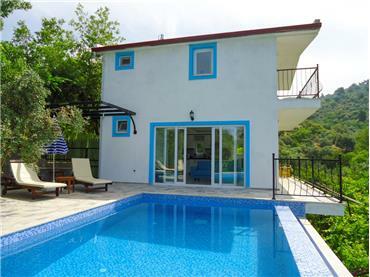 Villa Kalkan Close Town has a private pool, seaview and 3 bedroom nice villa in Turkey. Villa Kalkan inci is a 6 bedroom, 6 bathroom, private swiming pool, full seaview, large pool terrace and bbq and close town villa in Turkey. Villa Kalkan Tuzer is fully private, it has a secluded pool so its suitable for muslim family and villa kalkan is not overlooked so perfect family halal villa holiday Turkey with private pool and jacuzzi. Shops are just 5 minutes away. Villa Kalkan Muhafazakar is suitable for islamic halal holidays. And also is suitable for muslims. Islamic halal holiday villas in turkey summer pool sheltered. The villa has a private pool with 100% seclusion from outside for the comfort of females. Villa is modern very luxury desiged. Villa is suitable for family and firends of group. As you would expect, the villa is equipped to a very high standard, and is air conditioned throughout, and has beautiful travertine marble flooring. 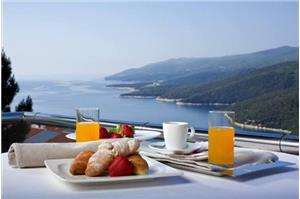 Villa Kalkan Tane is very good for small family, couple and honeymoon couple. Villa has been built 3 bedrooms with an en-suite. Villa has amazing big infinity swimming pool and big pool terrace. You can spend amazing time during your holiday. 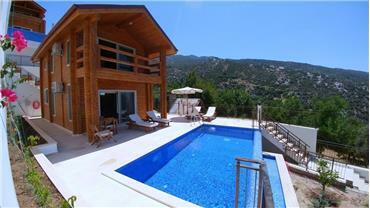 Villa Kalkan Ebabil is 2 bedroom modern private pool and seaview wood villa in Turkey. 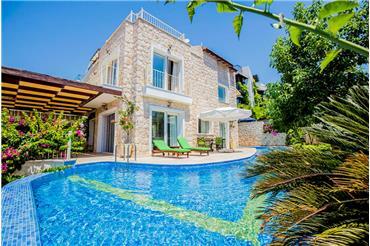 Villa Kalkan Ebabil is very good for small family, couple and honeymoon couple. Villa has been built 2 bedrooms with an en-suite. 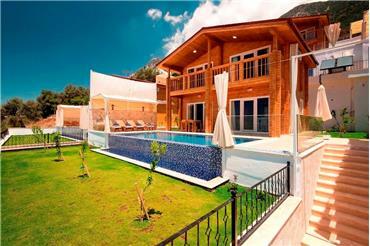 Villa Mini İslamlar is suitable for islamic halal holidays. And also is suitable for muslims. Islamic halal holiday villas in turkey summer pool sheltered. The villa has a private pool with 100% seclusion from outside for the comfort of females. Villa Elay Kalkan is an exceptional, luxurious fully air-conditioned, 1 bedroomed, 1 bath private villa situated in a unique and serene setting amidst the olive groves and pine trees in the beautiful mountain village of islamlar. 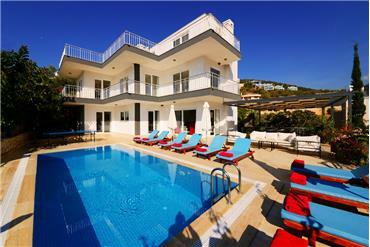 Villa Milad Islamlar is 2 bedroom secluded pool private villa in Kalkan with seaview and large garden. Villa Milad islamlar has a private pool and its not overlooked so it suitable halal private villa in Turkey with private pool and seaview. Villa Eco Sardunya has a private swimming pool with full seaview. Large surrounded by beautifully tiled terraces and attracting sunshine all day. 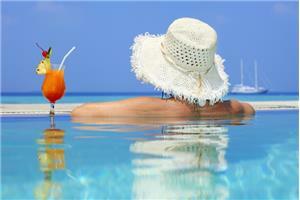 There are comfortable sunbeds and parasols as well, private pool villas rental in Turkey. Villa Eco Mimoza Turkey has a private swimming pool with full seaview. Large surrounded by beautifully tiled terraces and attracting sunshine all day. 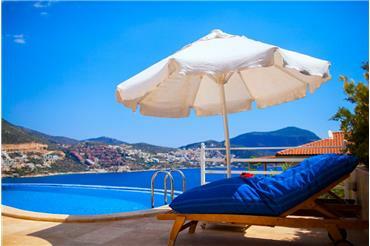 There are comfortable sunbeds and parasols as well, private pool villas rental in Kalkan. Villa Eco Karanfil brand new with speacial wood stylish interiors and panoramic outdoor area, its perfect villa for a honeymoon couple, romantic couple or small family looing for that special rental villa in Kalkan with seaview. Villa Eco Defne Kalkan new 2 beds private seaview villa with speacial wood stylish interiors and panoramic outdoor area, its perfect villa for a honeymoon couple, romantic couple or small family looing for that special rental villa in Turkey. Villa Eco Fulya is 2 bedroom luxury seaview and private pool with speacial wood stylish interiors and panoramic outdoor area, its perfect villa for a honeymoon couple, romantic couple or small family looing for that special rental villa in Turkey. Villa Eco Nilüfer brand new luxury rental honeymoon villa kalkanwith speacial wood stylish interiors and panoramic outdoor area, its perfect villa for a honeymoon couple, romantic couple or small family looing for that special rental villa in Turkey. 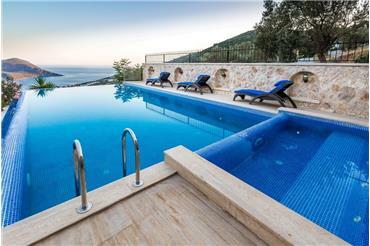 Villa Eco Manolya has a private swimming pool with full seaview villa in kalkan. Large surrounded by beautifully tiled terraces and attracting sunshine all day. 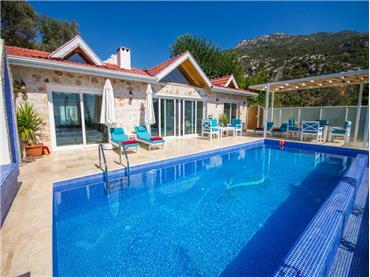 There are comfortable sunbeds and parasols as well, private pool villas rental in Turkey. Villa Eco Anemon brand new Kalkan villa with speacial wood stylish interiors and panoramic outdoor area, its perfect villa for a honeymoon couple, romantic couple or small family looing for that special rental villa in Turkey. 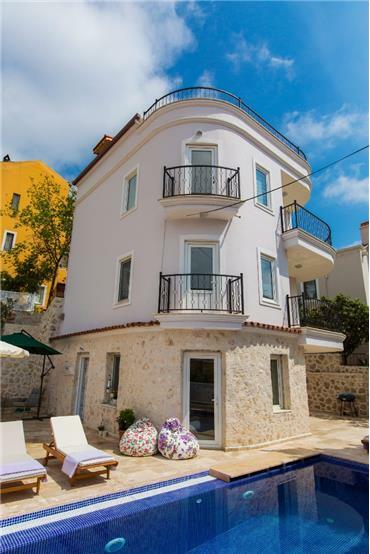 Villa Kalkan Vogue has been furnished in a contemporary style and the centre of Kalkan town is a 15/20 minute walk away - there are a selection of excellent cafes and restaurants a 10 - 12 minute walk away, together with a convenience store. Villa Comfort Kalkan is suitable for who wants very private villa, not overlooked, peacefull area with private pool and seaview and you can drive to Kalkan only 5 minutes and enjoy old town Kalkan and beaches. Villa Oz Seaview is 2 bedroom luxury villa rental in Turkey with private pool, garden, large terrace, jacuzzi in the bedroom and children with seaview in islamlar rental villas. Villa Sultan Kalkan is 3 bedroom luxury private rental villa in Kalkan with seaview and private pool. 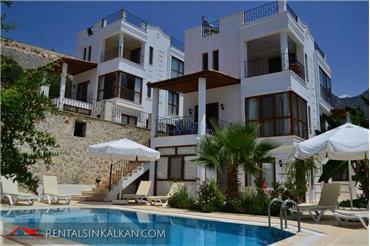 Villa Sultan Kalkan is only 5 minutes walkable to Kalkan harbour, shops and restaurants as well. 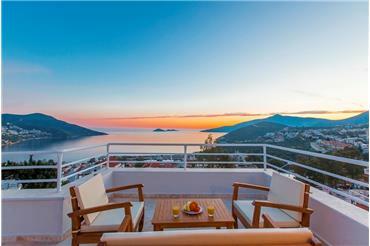 Villa has got a fantastic kalkan seaview. 5 Bedroom kalkan villa with pool. Villa Ada iki is luxury villa in Kalkan with 15 minutes walking distance to Kalkan town, shops, restaurants etc. Villa has a full luxury stylish with private infinity pool and perfect seaview with table tennis table. 15 minutes walking to Kalkan town and 10 minutes walking to nearest shops, restaurant, perfect family villa rental in Kalkan with pool and seaview. Villa has a 4 luxury modern bedroom with all en suites. Family luxury 4 bedroom villa in Turkey. 2 Bedroom, private pool, seaview, large terrace private rental villa in Turkey. Our villa is suitable for muslim villa holiday with secluded private pool. 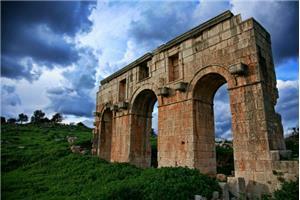 If you are looking for good price honemoon villa or holiday rental villa in Turkey this is. 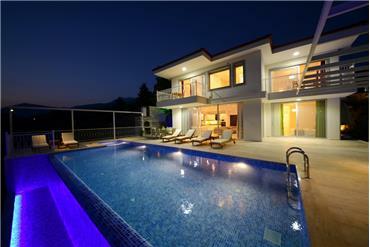 3 Bedroom luxury holiday villa rental in Kalkan with private pool and full seaview. If you are looking for modern, close to old town, walking distance to town, shop and restaurant this villa will be suitable for you. Sunset house has a huge pool. 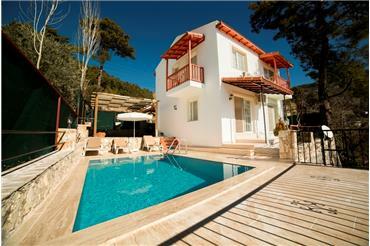 1 Bedroom modern honeymoon rental villa in Turkey with heated pool private villa in Kalkan. 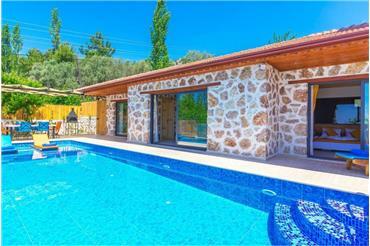 1 Bedroom heated private secluded pool villa in Kalkan. Turkey heated pool 1 bedroom en suite private halal villa in Turkey. 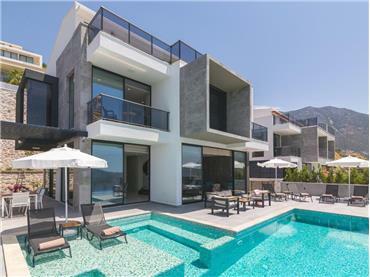 Rental villa kalkan infinity is a stunning ultra luxury and modern villa in Turkey with sleeps 12 and seaview. Luxury 6 bedroom villa rental in Turkey which is 5 minutes drive from sea, town, harbour. Its good for family and group of friend rental. Kalkan Town Villa is suitable for 8 guest but if you need there is a 1 sofa bed so 9 people can stay in the villa. Villa has amazing kalkan horbour. 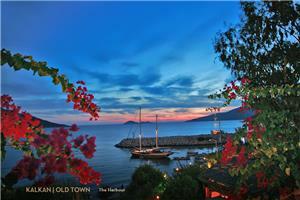 Holiday villa in Turkey, Kalkan old town villa with seaview. 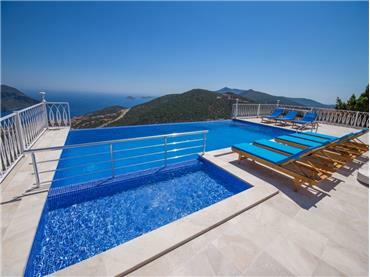 This is a brand new, recently completed 5 bedroom Kalkan Villa Bella View. The villa is situated just a 15 minute stroll from the centre of the enchanting Kalkan village and harbour, which is packed with delicious restaurants. Luxury villa in Turkey. 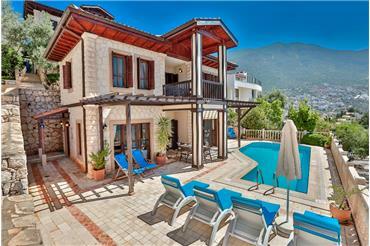 Villa Kalkan Atakan is 6 bedroom all en suite family villa in Kalkan with seaview and private swimming pool. 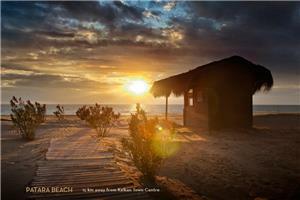 Villa is located near the town, restaurants, shops and sea. Villa suits for family, group of friends. 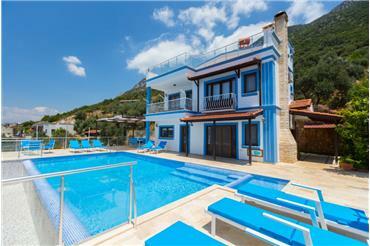 Villa rental in kalkan has comfortable. The villa is situated just a 5 minutes stroll from the centre of the enchanting Kalkan village and harbour. Villa Lilies is a contemporary style, luxury villa with spacious terrace, infinity swimming pool. Special luxury villa in kalkan with walking. 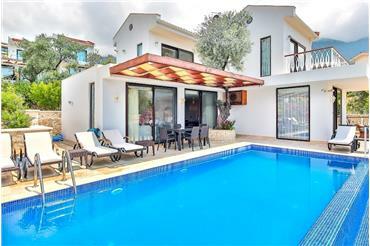 Villa Close Sea is 6 bedroom, sleeps 12 villa in Kalkan. 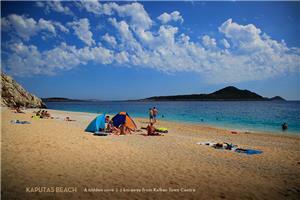 Villa is very close to sea, beach park and shopping. You can walk to sea from holiday rental villa. Villa Close Sea is suitable for big family, group of friends. Villa has a full seaview. If you love outside living then Villa Mavi Manzara is the place to be, with a great private swimming pool, plenty of sunbeds and umbrellas, & private balconies with fantastic views on the upper floors. Villa is just 10 minutes walking from the town. 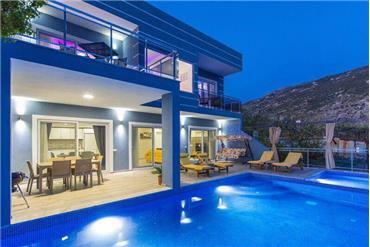 Villa Ocean Dream is super luxury modern villa in Kalkan beach front villa. Villa is just a few minutes from the beach park and ocean sea. Villa is 6 bedrooms, Sleeps 12 and all En-Suites. 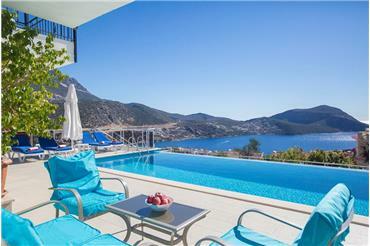 Villa has a stunning seaviews and Kalkan Harbour views. Villa is 3 bedrooms with an En-suite. All room has stunning sea views. Villa is only 10 mimutes walk a way from the sea, town, restaurants and shops. Villa is modern desiged. Villa is suitable for family and firends of group and honeymoon couple. 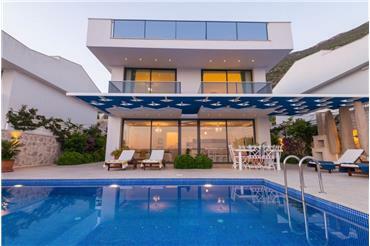 Villa Ocean Breeze is brand new luxury villa in Kalkan. Villa is giant infinity pool and uninterrupted sea and mountain views. High quality build on a fantastic plot. Peaceful hillside location 3 minutes drive into Kalkan & 20 minutes walk to town. 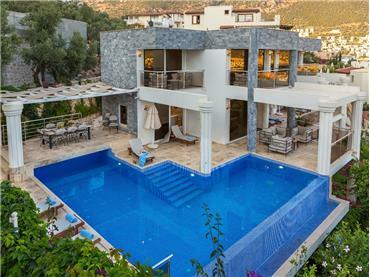 Villa Luxury Star is one of the Kalkan's most prestigious areas. 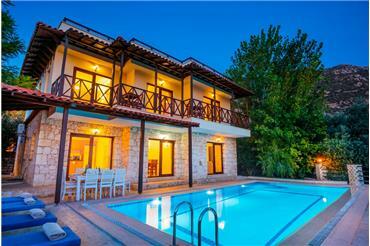 Villa Kaptan is a beautiful, lovely 5 bedrooms villa . 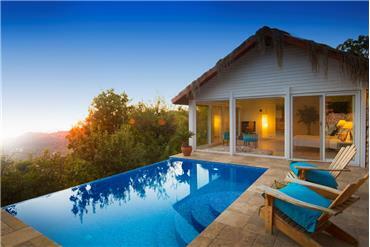 Villa Kaptan is a brand new and fully furnished luxury villa. 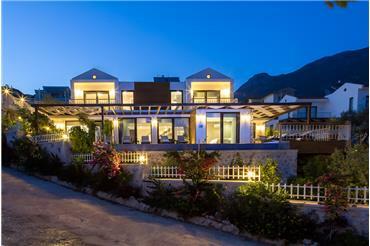 The villa commands beautiful amazing sea views oner Kalkan Bay. This amazing modern Villa Pearl is set in its own pretty grounds with spectacular views across the mountain valley to Patara beach. Furnished in contemporary style, the large open plan living and kitchen areas provide a high level of comfort. This beautiful 3 bedroom villa with private pool is hidden away in a tranquil rural setting. Villa Ottoman Garden is very good for small family, couple and honeymoon couple. Kalkan Mountain Villas. 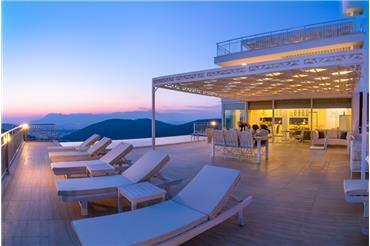 Villa Ocean is one of the best luxury villa in Turkey/Kalkan. Villa is 7 bedrooms with an en-suites, Sleeps up to 14+3 people. Villa has stunning ocean views. Villa has been built very modern and luxury. Villa is brand new villa. Villa Saray is luxury 3 bedrooms with an en-suite villa in Turkey. 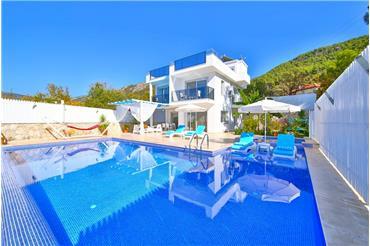 Villa is located in Kalkan / Kalamar area which is only a few minutes walking distance to Kalamar beach club and sea. Villa has stunning seaview. Villa is good for family and friends. 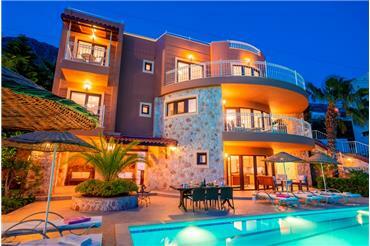 Villa Kalamar Dream is has been built 4 bedroom and very modern. 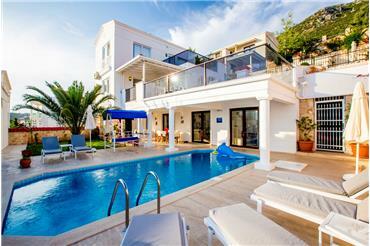 Villa is one of the best luxury villa in Kalamar bay which is amazing area in Kalkan/Turkey. Villa has spectacular views and The villa is only 150 meters from the sea and beach clubs. 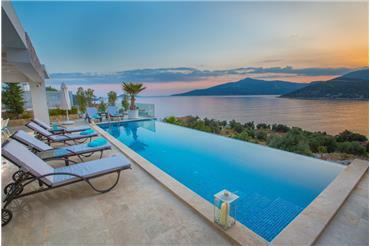 Villa Kalkan Harika has large size infinity swimming pool which is has amazing ocean sea views and island views. I can say one of the best views in kalkan. Villa's ground floor there is modernly designed American luxury kitchen & living room. 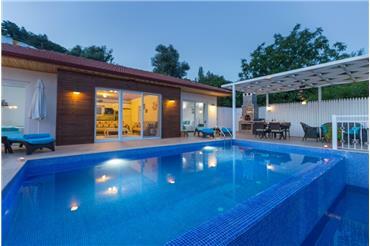 Villa Kisla View is located kisla area which is 250 meters from the lovely sea. Villa has amazing panoramic views of the bay. Villa has been built very modern and lovely. Villa in Turkey has 3 bedrooms with an En-suite and amazing sea views. This 4 bedroom villa is located in a lovely, quiet and peaceful area. Villa Doruk is built over 3 floors and all bedrooms have en-suite facilities. There are excellent sea views from the Pool area, all rooms and garden. 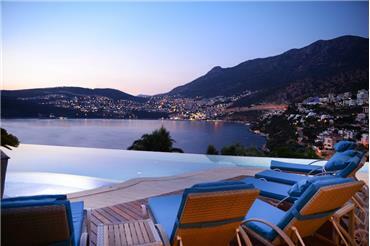 Villa Ocean Blue is a brand new villa in Kalkan and has amazing mediterranean ocean views. The Villa is designed to a high standard for you and within walking distance to shops, restaurants, sea. This is the place to be for ultimate relaxation with large and airy rooms, spacious balconies plus a large private sun terrace with infinity swimming pool and private gardens plus a secure double garage below. 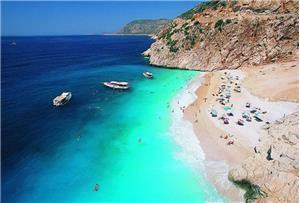 I found Kalkan Experience Property with Rudi ! Just so helpful, very professional and will cater for individual needs. Rudi arranged my travel to and from the airport great transport. Kalkan Experience Property is best as always. Villa Rudi. Millys family 2016 stay. Cannot give less than five stars here. Villa Rudi. 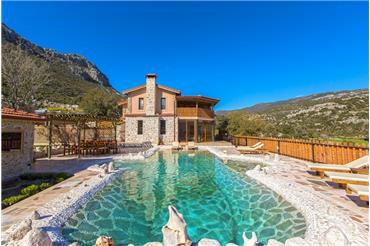 A real gem - Luxury villa with pool in peaceful and private location in Turkey.